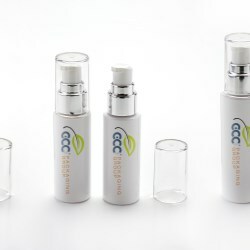 GCC supports the development and use of packaging which results in improving sustainability, and opts glass bottle with dispensing pump for liquid foundation and lotion productions. GCJL546 combines a retractable lip liner pen on one end, and a twist lipstick mechanism on the other. The overall look is sleek and smart, a simple yet classic option for cosmetic products. Packaging jars of cushion mechanism is also an air-tight container for securing delicate cosmetic product. Airtight lipstick with sleek, flat cap fits best for cosmopolitan and fashion items. , Its slanted cap with a mirror adds a smart designer’s touch. Made of AS+ABS, the airtight lipstick can be decorated with metallization, matte spray, coating, pearlizing, heat transfer, and water transfer printing. Its inner cup is 10.8 mm for lipstick bullet. Concealer has a long history with its packaging evolution, and GCC covers its recent update with advanced designs and applications. GCC Packaging develops new flock-tipped applicators matching for many cosmetic pens that are part of the trendy cushion packaging in demand. GCJHGL017 combines two mini lipsticks in a singular case made of ABS in a streamline design. GCAL062 features a special push & pull mechanism that enables consumers to use the product with simpler gesture. GCC Packaging introduces new duo-end packaging designs for cosmetic products. GCC Packaging offers two different designs for foundation click-on pens. GCKAF001 uses a controlled dosage button, a precise amount of foundation is dispensed onto the soft brush applicator. The airtight technology system enables to suit oxygen-sensitive formulations. Another clickable jumbo pen, GCFF028, with a wider brush for easier application. Features of this design are ergonomic application and convenience for carrying. The airless function offers protection and sanitation of formulations. Capacities of these containers are 30 and 50 ml. Tubes are very user-friendly, GCC fits unique nylon professional quality brushes to these easy tubes. Available in 2 models, one round and the other flat, these packages are perfect matches to BBCC cream or liquid foundations. The glittering packaging components are installed with LED lights for better user experience in darkness. This new double-ended packaging equips with a vial for eyebrow gel on one side, an angular brush applicator on the other. GCC Packaging introduces its “HIGH DEFINITION Beauty”, a cosmetic compact collection with replaceable shades, and turns make-up palette to a personalized color selection. HIGH DEFINITION Beauty is what GCC has created for professional beauty exports over the years. Based on what these experts’ tips on beauty, make-up look must contain perfect skin textures, perfect face structures, gadgets to fix the imperfections, shades to highlight and many more. Magnetic palettes with replaceable shades are the IT item for every expert, so to speak, for every beauty learner looking for well-defined beauty look. GCC PKG will launch Leather Engraving and other new packaging concepts at HK Cosmopack next week. Meet us at booth 7-L16, AWE. Make-up palettes with LED lite-up devices built-in and glittery over spray decoration on top lid. Magnetism applied for beauty and cosmetic packaging has been always associated with premium, splendor, and extravagance impression. 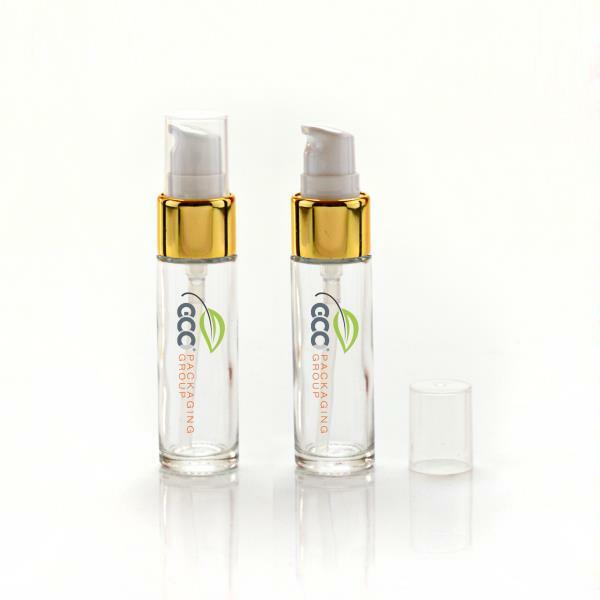 GCC Packaging provides several magnetic packaging option available for lips, eyes, and face products that work well as convenient make-up tools for daily usage. GCQPF025 & GCQPF025-1 are built up with 24 diameter and 167mm lengths, capacity also is 4g. Comparing with GCQPF025, GCQPF025-1 has one extra function with a device designed between the cap and barrel to control the dosage for each use. This is the ultimate design to provide the easiest application for make-up users. GCQPF025-2&GCQPF025-3 are built based on 24 diameters with 142mm length. GCMJ143 is shorter in 110mm lengths with Φ28 mm in width, capacity 14.8ml. The widths of both GCQPF024&GCQPF024-1 are Φ27mm with 113mm lengths, capacity for 4g. The difference is that GCQPF024 is a 2 color filled container, it’s easy to set up the desired color you want and even a mix color by a simple twist. Mini lipsticks in different materials, shapes, decorations, and styles fulfill product requirements of cosmetic brands. Double-ended cosmetic pens can be adapted for wide variations of makeup products. Packaging stick containers are designed as double-ended, multi-functioning packaging solutions to make cosmetic consumers’ daily routine much easier living style. GCC introduces several packaging designs particularly for make-up perfections' concealer products. GCC Packaging Releases 10 different eyeliners to create distinctive make-up styles. The new eyeliners are solutions available for consumers to have artistic and professional eye makeup at home.